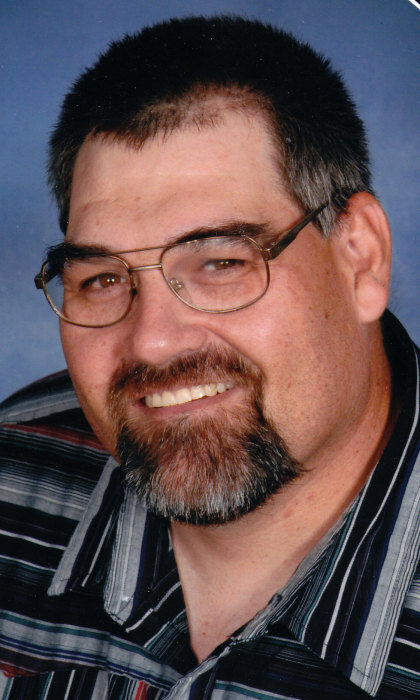 It’s with great sadness the family of Travis Lee Meyer announces his death after a vehicular accident on Thursday, March 21st, 2019 at the age of 46. Travis’s death was the result on injuries sustained during the accident that took place north of Mitchell on Highway 37, at the James River. Memorial services will be 2pm, Friday, March 29, 2019 at St. John’s Lutheran Church, Howard with inurnment to follow in the church cemetery. Visitation will be Thursday with family present from 5pm to 7pm at Willoughby Funeral Home, Howard. A beloved son, brother and uncle, Travis will continue to be remembered for his kind spirit, big laugh and willingness to always help others. Travis Lee Meyer was born on September 21, 1972, at DeSmet, South Dakota to Edwin and Donna (Olson) Meyer, alongside his twin brother, as at birth and throughout life, he came along five minutes before Troy. He was baptized only a few days old in Sioux Valley Hospital NICU. Travis was later confirmed at St. John’s Lutheran Church, Howard. He grew up in Howard and graduated from Howard High School in 1992, where he was active in cross country and 4-H. Travis worked for various businesses in Howard including Sherman’s Feedstore, Homestead Building Supply, and most recently Dawson Construction. He also enjoyed working for various farmers in the area. Travis loved the outdoors and everything in it. No matter the season he was going with his brothers or friends camping, hunting, fishing, or antiquing. When these adventures took them to a local watering hole folks would also discover he loved karaoke – after a few Miller Lites. When he was at home, he was always keeping busy gardening, cooking, and doing projects for his family. His nephews always looked forward to “Uncle Trav” coming to babysit and play games with them. Those grateful for having shared in his life include his parents Edwin and Donna Meyer of Howard, SD; his twin brother Troy (Stacey) Meyer of Pierre, SD; younger brother Dustin (Courtney) Meyer of Colton, SD; his nephews and niece Trey, Jenna, Kelley, Easton and Reed; other relatives and friends. Travis was preceded in death by his grandparents.